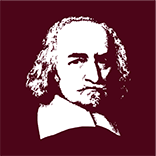 On Monday 25 February 2019 the European Hobbes Society will organize a half-day workshop at the University of Amsterdam with Prof. Arash Abizadeh (McGill). Prof. Abizadeh is one of the world’s most prominent Hobbes scholars today. Earlier this year, Cambridge University Press published his monograph Hobbes and the Two Faces of Ethics — a rich and original study of Hobbes’s moral philosophy.